CCAIS2 supplies 2% pure GHK peptide (Tripeptide-1) separate from copper ions. Upon mixing, 1% Copper Tripeptide-1 (GHK-Cu) is freshly formed as 1% of the GHK peptide branches with free copper ions, leaving 1% pure GHK in free form. Both GHK and GHK-Cu are found in nature and originally isolated from human plasma. The concentration of these peptides in human plasma continues to drop with ageing past late teenage years and this drop exceeds 60% by age 60. 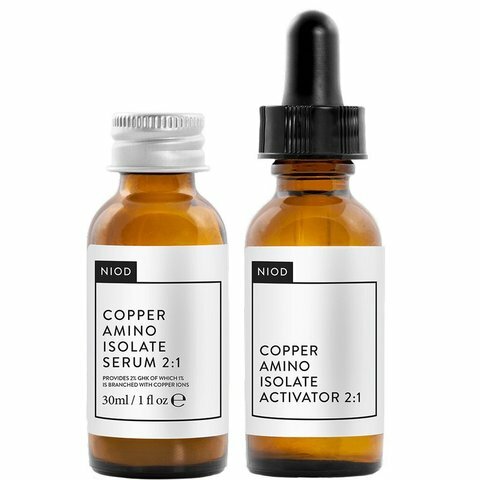 The natural role of these peptides as found in the human body includes activation of a wide range of skin health functions, including healing, immune function, collagen synthesis, fibroblast production and anti-inflammatory responses, while pure GHK offers strong pro-collagen support. 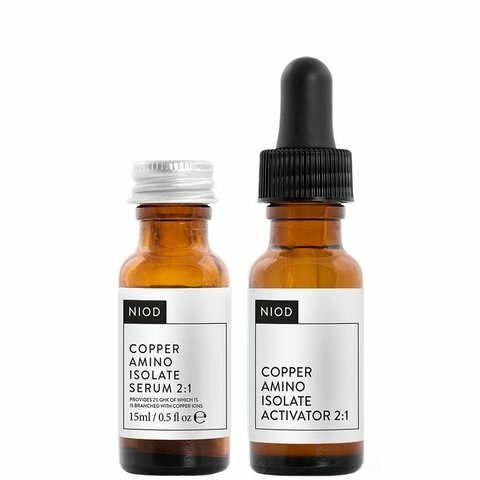 HOW TO USE: Recommended as a core NIOD regimen product to be used as the first step after cleansing before the application of other skin treatments. NIOD recommends the application of Multi-Molecular Hyaluronic Complex (MMHC) after the application of this product. Discard empty Activator bottle and shake the Serum bottle well for 30 seconds. Please Note: Avoid contact with clothes and surfaces as the serum will stain.